Summer Card Camp 2- WRAP UP! Today, at Stamp Camp we were given MORE SKETCHES & MORE IDEAS to use!!!!!! 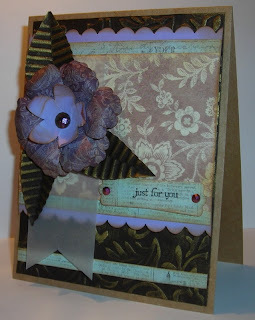 Ideas of what to do with those scraps & more little ideas to help us in our craft! WHAT FUN this has been! AND I've made some friends along the way! Making friends is what SWEETENS THE DEAL! Today, they put out the list of all the winners of the prizes at Summer Camp! BOY, did they have a lot of PRIZES TOO!!!!!!! !CONGRATULATIONS WINNERS!!!!!!! I KNOW you will enjoy your prizes!!!!!!!! No, I didn't win any prizes myself, but that's O.K! I'm having CAKE tomorrow! A BIG "THANK YOU" to Jennifer McGuire & Kristina Werner for putting this Camp together & to all the Guest Designers too! I know I'm not speaking only of myself when I say, I learned A LOT & had a BLAST!!!!!! 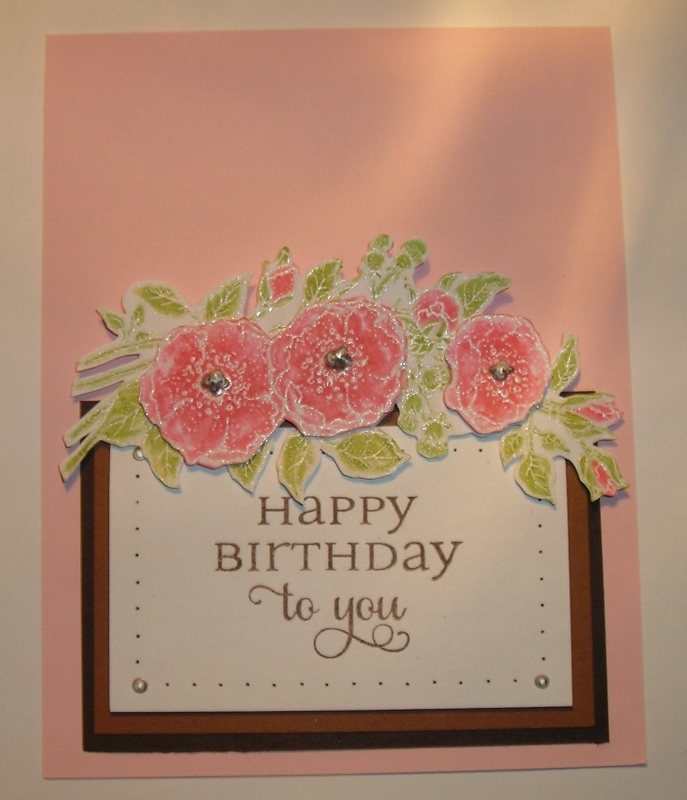 Now, for the card I made today! 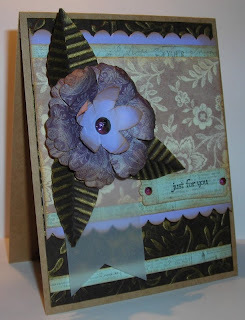 This is one of those ideas to use up some of those scraps! Jennifer had a nice looking card with squares & they were scored just so & then folded & pieced together to create a 3-D pattern. Jennifer said we could use any shape & do the same thing. I decided to go with hearts! 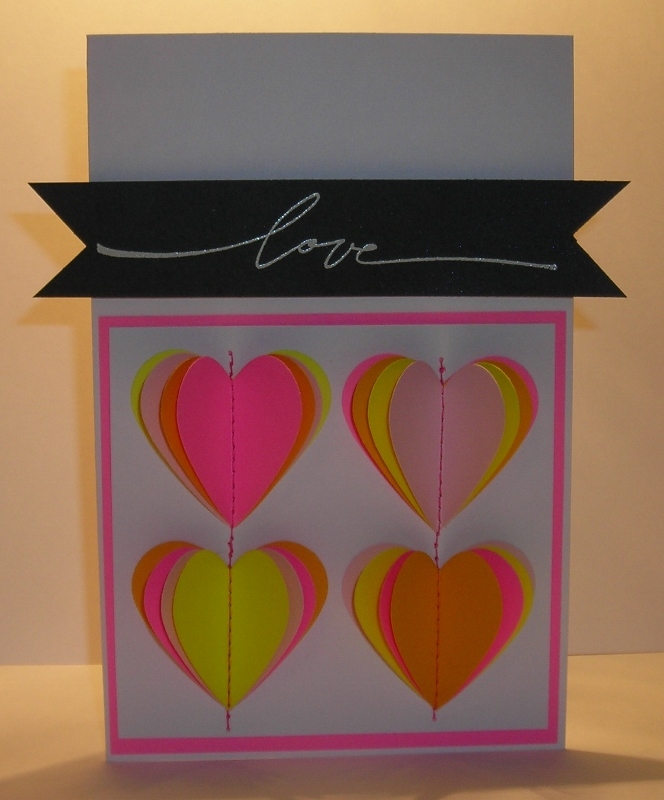 Those hearts make me think of "Conversation Hearts!" I ALMOST started to stamp on them, but stopped myself. I stacked my hearts & sewed them to a panel of white card stock, just a little different from what Jennifer did. Jennifer said you could use dimensionals to keep them popped up when mailing. AND would you believe they have such a thing as CLEAR DIMENSIONALS??? WHO KNEW? 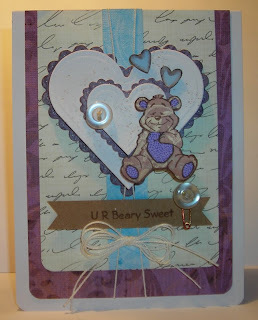 I also popped the banner up on dimensionals after heat embossing the white script, love! So, what do you think? Have you enjoyed this little adventure with me? I HOPE you have! Summer Card Camp 2- Week 3- Day 5! 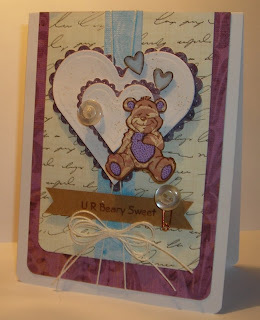 As I am typing this out, I am finishing up my cards for today....! It's our "last" day at Summer Card Camp 2! And I am SO SAD that this is the end of a WONDERFUL, LEARNING JOURNEY! I have SOOO ENJOYED these last 3 weeks! But alas, all good things must come to an end! I have enjoyed all the NEW FRIENDS I have made along the way too! Where would we be without those who are willing to leave us a little comment of encouragement? IF you have a chance to take one of these On-Line Card Classes, GO FOR IT!!!!! It's worth EVERY PENNY! Again, THANK YOU again to Melissa!!!!!!! Today, we were given several examples of things to try with a new color palette! I made TWO cards today! 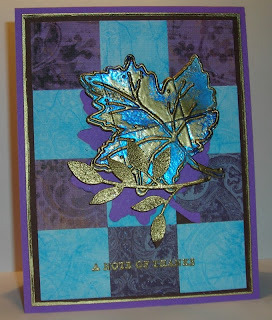 I tried a new technique with my first card--Masked Embossing, shown to us by Kristina Werner. I chose the first color combo to work with, remember 4 out of 5 colors...! Do you see the banner in the middle? 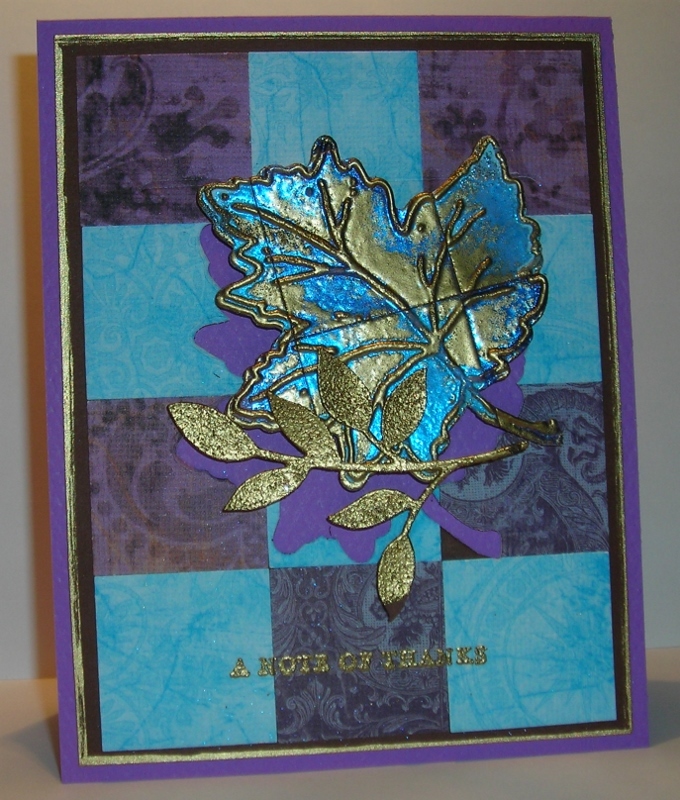 Done in two different embossing powders-SU- Silver & Sparkle-N-Sprinkle- Blue Ice Sherbet. The stamp I used for this design of the banner is by CHF- Dots & Circles Backgrounder; it's THE PERFECT stamp for making "Decoder Cards." I ALSO made my own "Washi Tape!" I have some but, it's VERY NARROW! I purchased it awhile back for a specific use, so I'm hanging onto it for now! But, back to making my own Washi Tape! I used Masking Tape & colored it with Copic Markers! You just have to be careful not to blend the colors. 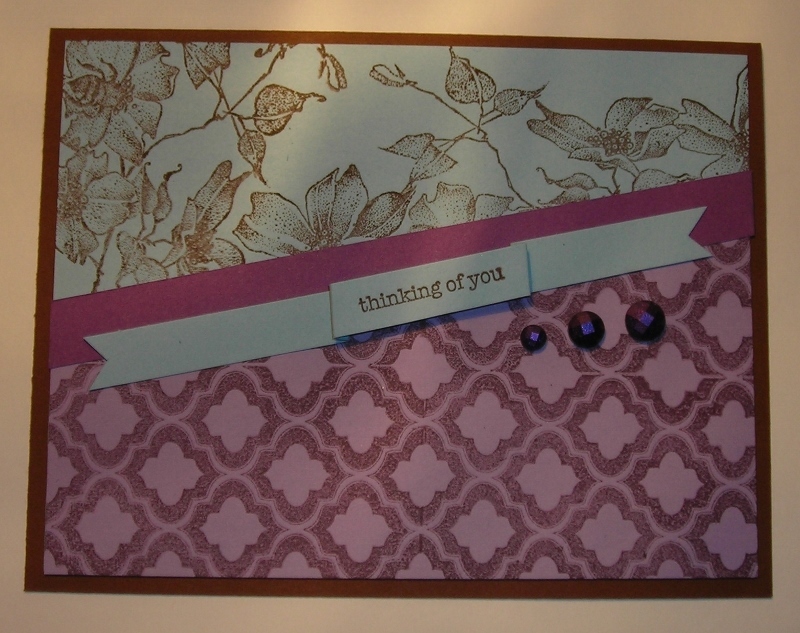 For my second card I went with Amy Kolling's, Subtle Color. I CASED Amy's card for this one. I LOVE the soft pinks! 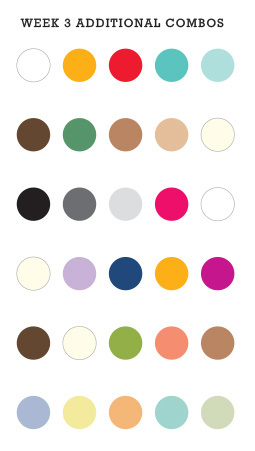 I used the color palette fifth one down from the top. 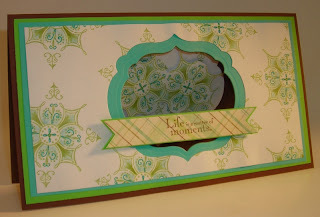 I popped the flowers & the framed sentiment up on dimensionals! Here you can see the flowers better. 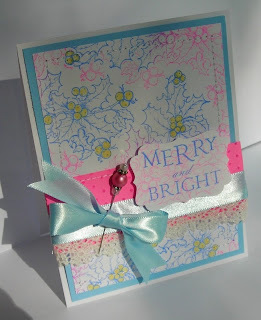 I used white card stock & embossed them with clear embossing powder & then colored them with SU- Markers, giving them some depth with my coloring & adding Liquid Pearls for the centers. 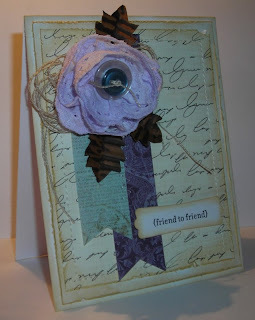 I also used my SU- Paper Piercing Pack Essentials to paper pierce around my sentiment which is by Flourishes- Sentimental Favorites. Do you NOTICE? It says, "Happy Birthday to You!" That's for Flourishes who is having their 6th Birthday!!!!!!! They're having LOADS of Birthday Fun & you STILL have time to get in on it this weekend! 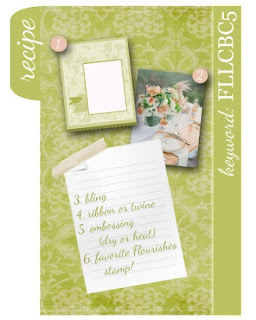 Now, I JUST REMEMBERED that Flourishes has a RECIPE to follow for their card challenge, so NOW you're going to see a TRANSFORMATION! Well, you can see I am lacking some things, SO I made some CHANGES to my card! 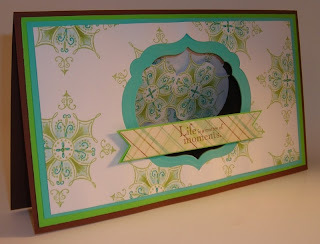 I think the sketch fits nicely if you turn it some, the colors work, I added Rhinestones & ribbon, there IS embossing already, AND I AM using my FAVORITE Flourishes Stamp, Garden Gate along with Sentimental Favorites! Summer Camp 2- Week 3- Day 4! OH MY! I've been in HEAVEN TODAY!!!!!!! Camp was ALL ABOUT VINTAGE, SHABBY CHIC, GOLD, ETC.,! The challenge today? Try something OUTSIDE OF YOUR CREATIVE BOX! I MUST tell you, these WHOLE THREE WEEKS of challenges, I have been "outside of my creative box!" LOL That's WHY I could breathe today! Today, IS more my style! (Or so I've been told.) But, I DID look for SOMETHING I haven't done before! I haven't done too much "Shabby Chic" so, that's what I went for! 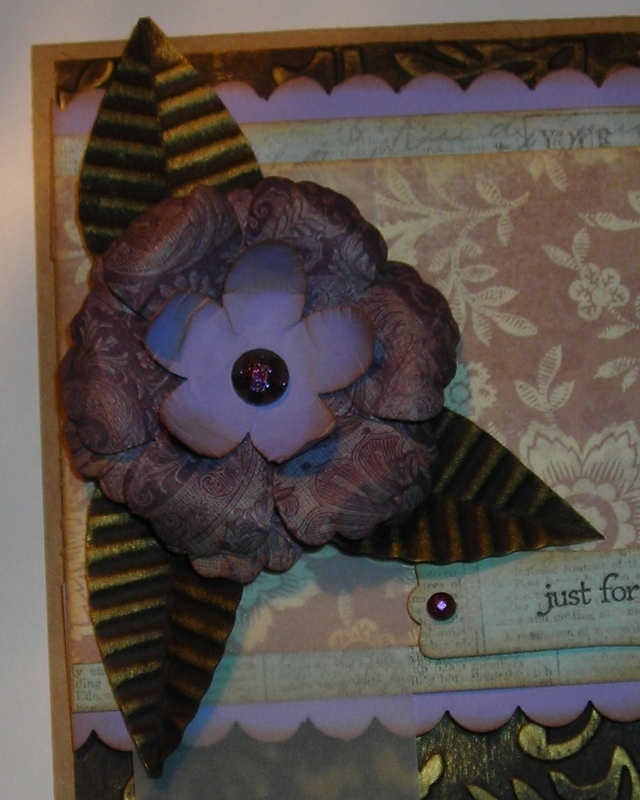 AND I don't believe I've made a flower from Eyelet before either, so I did that too! I used a sketch from MoJo Monday for the first time! (It MAY be an old one, I'm not sure!) Have to check on that! 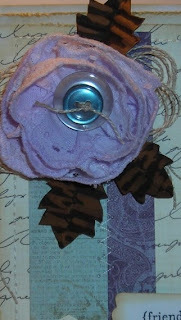 I misted the flower with a Homemade Shimmer Mist made with a small bottle of Hair Spray. One thing about using Hair Spray for this, it leaves a NICE soft scent! 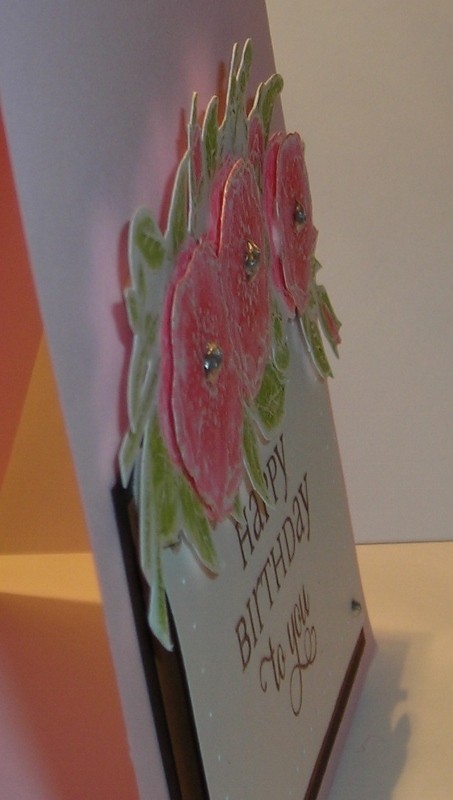 Here you can see I did a little stitching on the banner & around the outer edges of the card front. 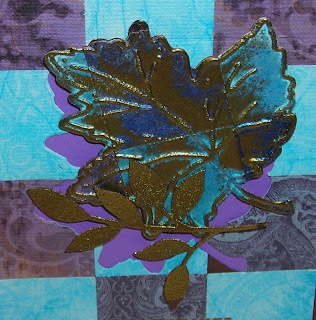 You'll also see my hand cut leaves, that I ran through a crimper & used bleach on giving some depth! Also, some Linen Thread behind the flower. I see Shabby Chic as being Vintage, but a lighter in color vintage! Or Vintage in pastels! What do you think? 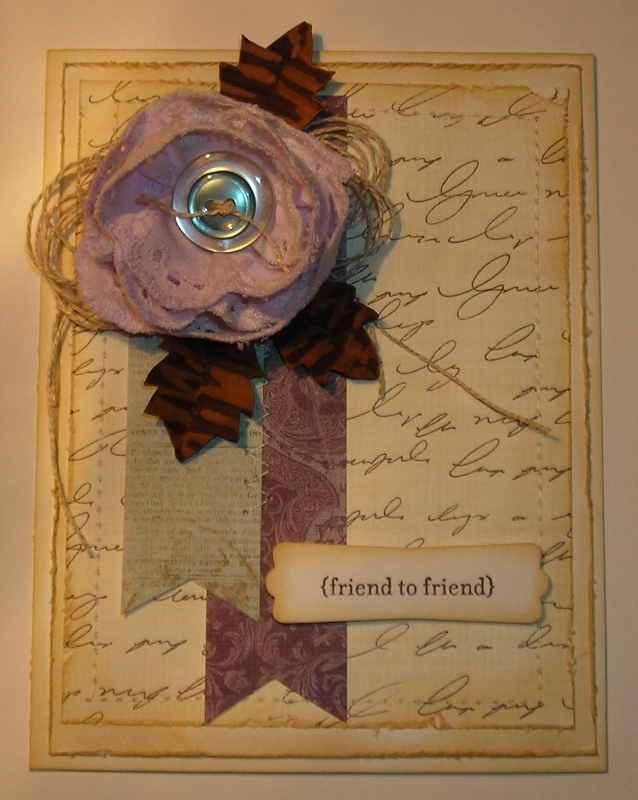 I didn't have any paper flowers that I could dye perfectly with distress inks as Kristina Werner did, but I made my own flower & distressed it. 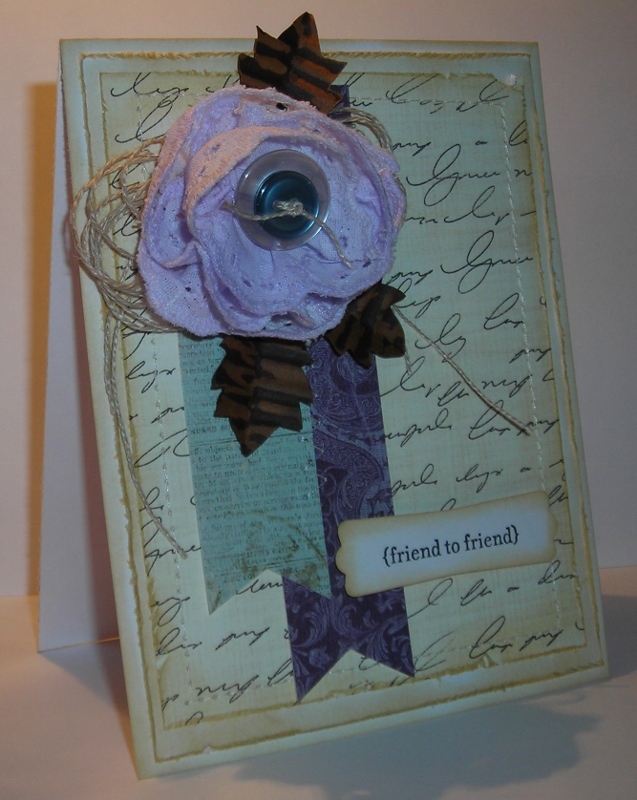 To me, that too is a "Custom Vintage Flower! Nothing too fancy. I used SU- Blossom Punch & Five Petal Flower Punch & gave my flowers dimension with my McGill Stylus Kit for making flowers along with an EXTRA LARGE one that is used for making flowers for Cake decorators, used with Fondant Icing! I found it on Amazon. I like to use it when the paper I'm using is quite stiff/ thick. It's GREAT in breaking down the fibers more easily! 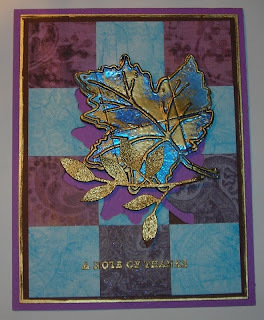 I did the same thing with the leaves that I did on my other card, only I ran my gold ink pad over them to give a gilded look. Here's a FULL VIEW of my card. I just HAD TO make ANOTHER Vintage card only making it a darker, richer color! Makes me think of Victorian Furniture! Lots of prints & deep, rich colors! I wanted a banner to hang down & just wasn't sure WHAT color to use--keeping with our color scheme this week, so I used Vellum; another trick taught to us this week. And you'll notice the dark brown paper that I've embossed with the Cuddle Bug folder- Victoria... and I've wiped my Gold Ink pad over it...another technique shown to us by Kristina Werner today. Well, I'm STILL breathing deep & QUITE HAPPY with my creations today! 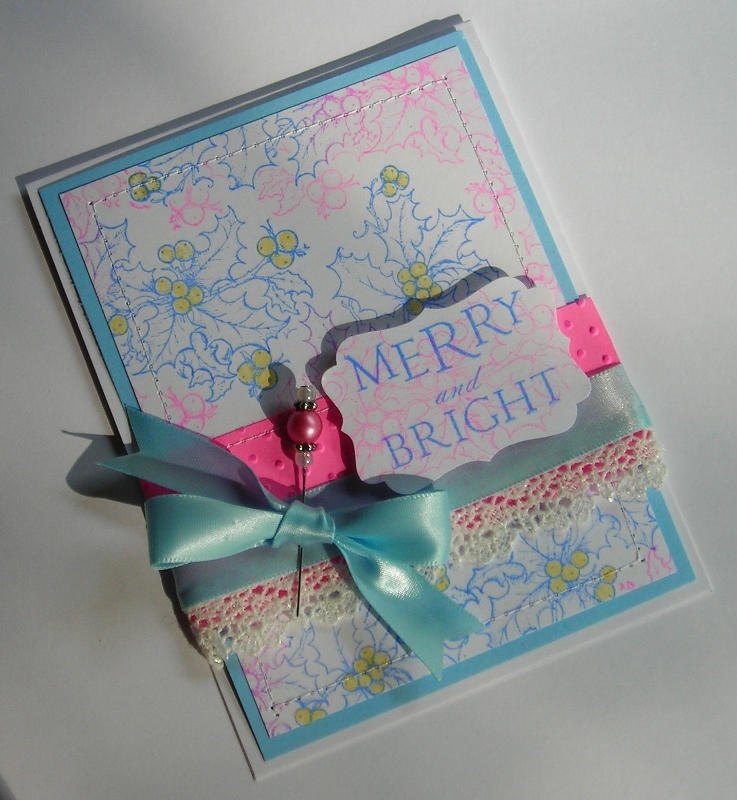 I ESPECIALLY LIKE my Shabby Chic card! I'll have to try to do more Shabby Chic in the future! Let me know what YOU think???? Would LOVE to know!!! Summer Camp 2- Week 3- Day 3! What a FABULOUS DAY at Camp it's been!!! 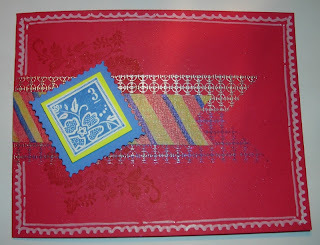 I followed Melissa Phillips from PTI, (at least that's where I know her from) & followed her direction on Stamp Paper Piecing! It was a day where I could have tried MANY of the techniques that were shown to us but, in honor of Melissa I thought I'd try her technique! I follow Melissa's blog & I LOVE her style! 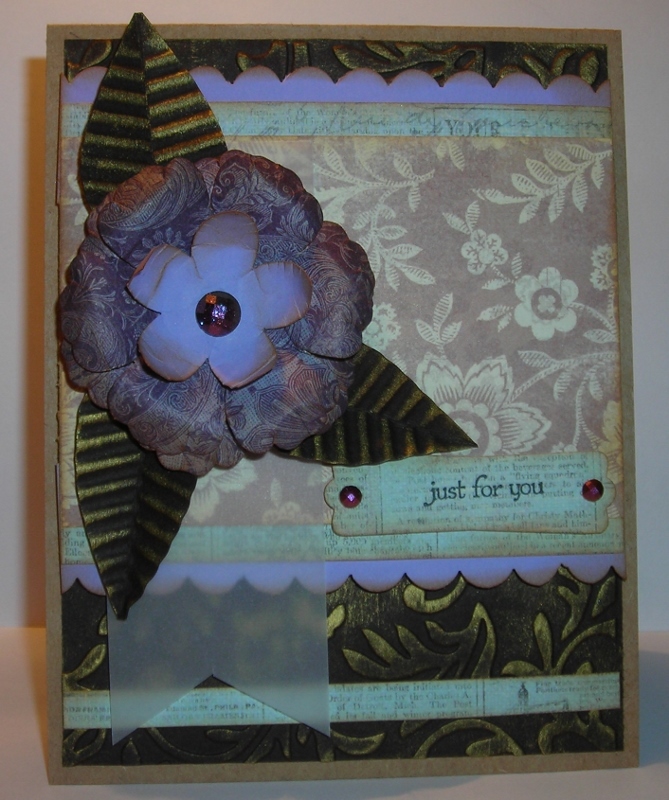 I also decided to "CASE" Melissa's card. 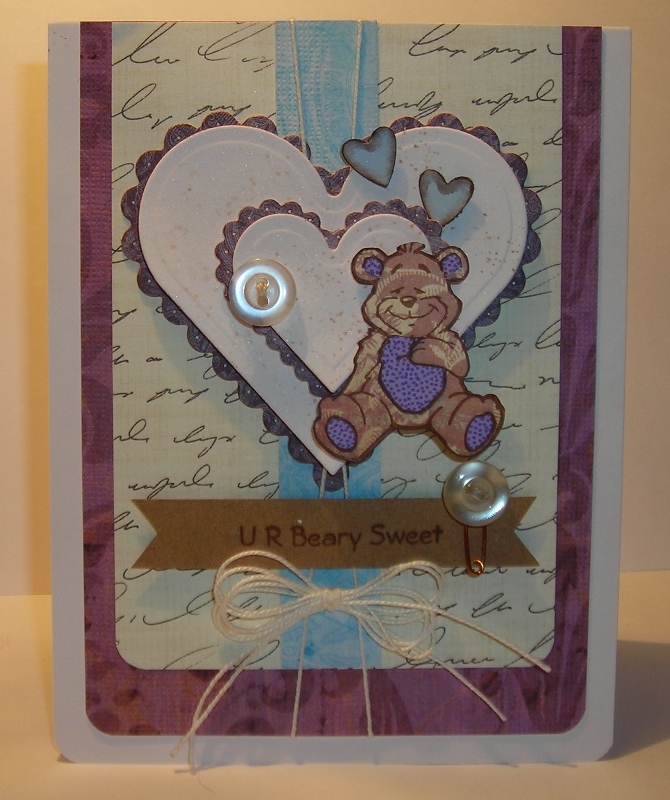 I can't load it to my blog to show you her card, but I can tell you the differences! Melissa & I used sketch #2 above. 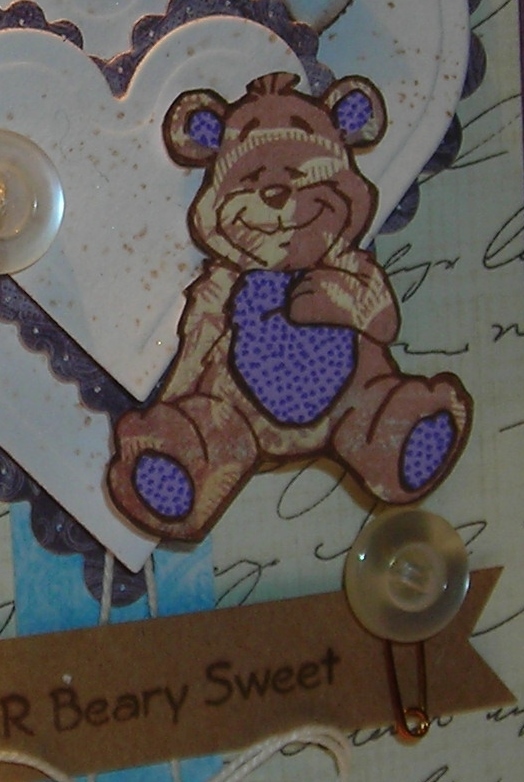 Here you can see my little bear where I did the Paper Piecing! 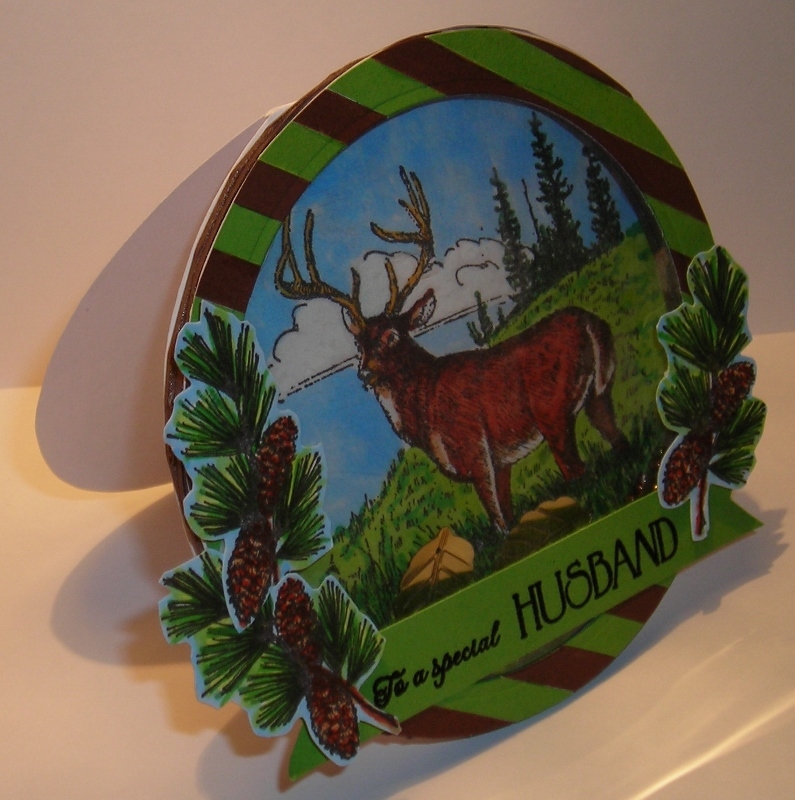 I stamped him on white card stock first & cut him out as a base. Then I stamped him on some designer paper--it wasn't as sturdy as the white base I first did. 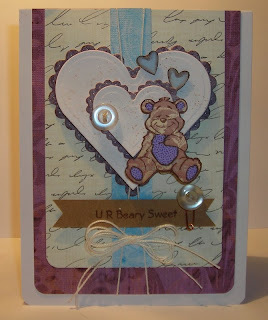 Then I stamped him again on purple card stock. I wanted another print but didn't have a small print in purple, so I used my marker to add dots & then cut out his belly, feet, & ears. I edged the pieces (Lavender) & then edged the bear himself with a brown marker. Edging the pieces help them to POP! You'll also notice the button on the banner. Melissa had what looked like a dark paper clip on the banner with the button. I didn't have a small enough paper clip so, I used a small safety pin & colored it brown with a Copic marker & hot glued it to the button. 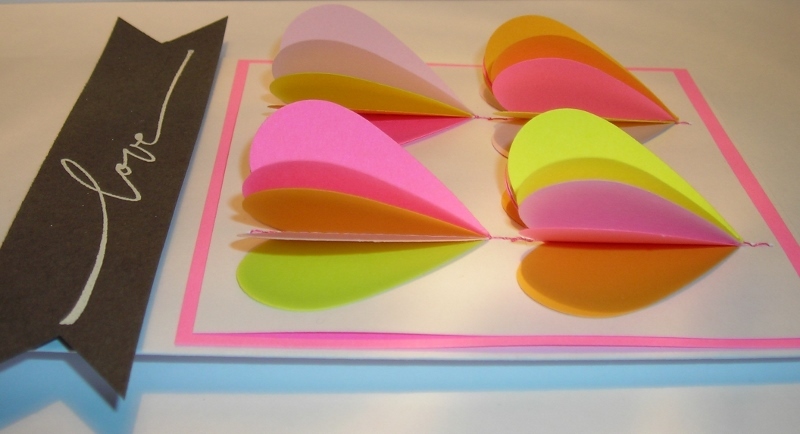 You can also see the Paper Piercing on the scallops of the hearts in this picture. 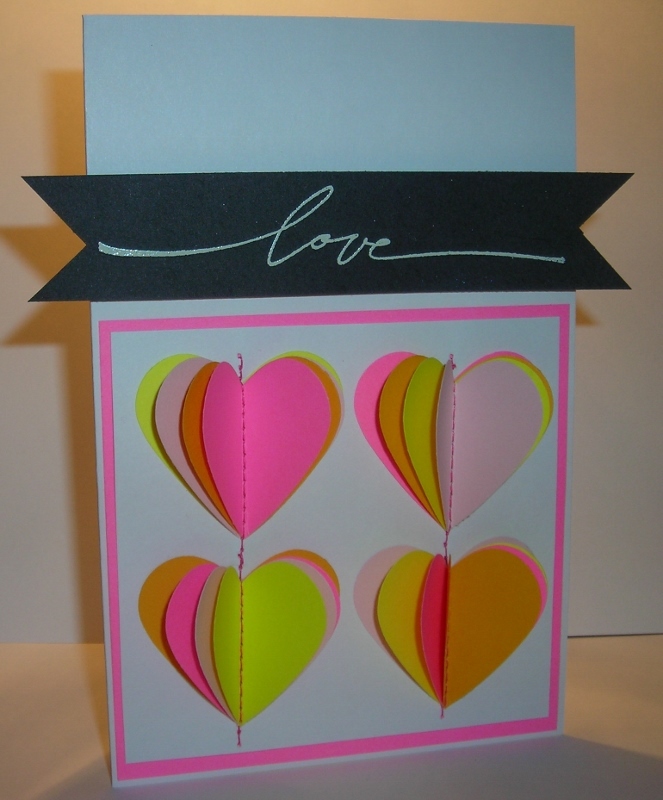 I also thought the white card stock for the hearts was a little stark, so I spritzed it with a SU- Color Spritzer & then some Tattered Angels- Glimmer Mist- Pearl. Summer Card Camp 2- Week 3- Day 2! Today, we had to go out & do some errands & I was WONDERING just HOW I was going to be able to get my card done for today, BUT I got on my computer early & there the class popped up for me. I was able to see what was going on & take a sketch pad & pencil with me & do some planning & peppered with a little HOPE that it would come together just fine! And what do you know, here I am! 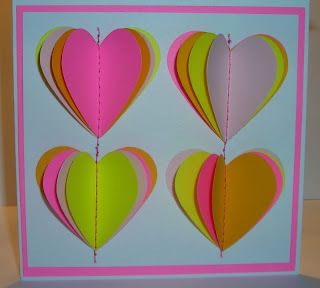 Today our lessons were about Die Cutting Techniques! 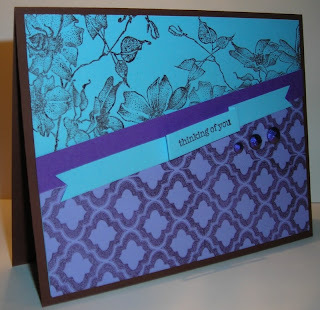 Lots of examples & tips for us...& I chose to combine a couple of them into one card! I chose the Embossed Die Cuts & Color Blocking! 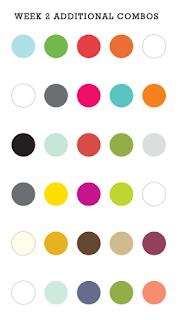 When I think of color blocking I remember a top I had YEARS AGO that I really liked but, it also makes me think of Quilt squares, as they too are blocks of color! I stuck with the same color scheme we had yesterday, only I used printed papers (Now that I think about it, I COULD qualify for another of the lessons! Patterned Paper Die Cutting! 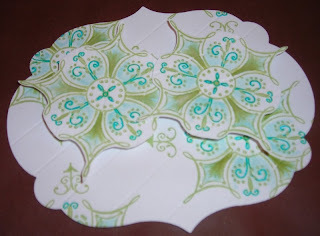 LOL) I cut the leaf out of the center of the quilted/ color blocked paper I made! 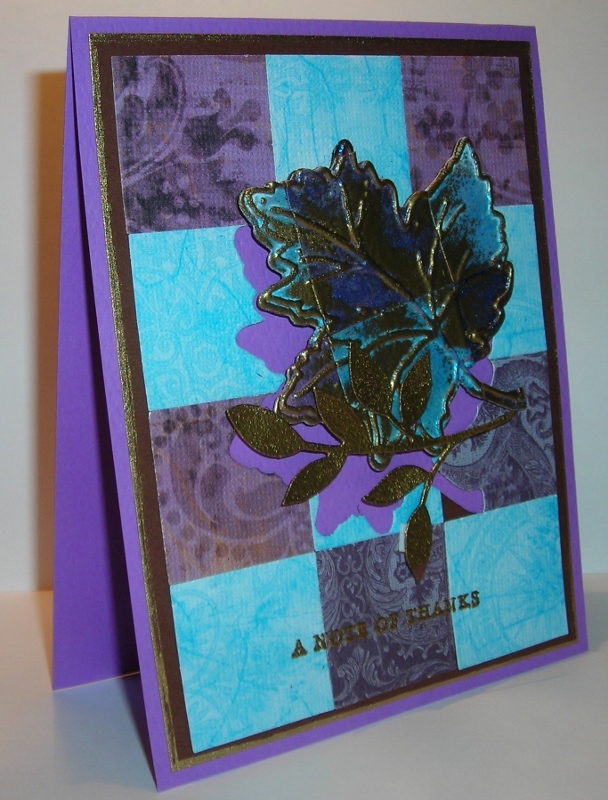 Isn't that heat embossing pretty? I used a couple different colors of Embossing Powders on the different colored papers. 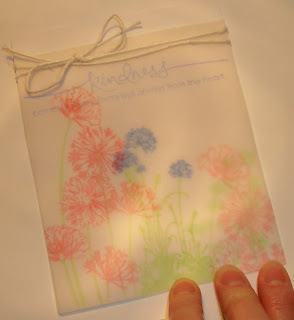 The first embossing powder was Grape Sherbet by Sparkle & Sprinkle (I had a sample), the color was a light purple, but on top of the different colored printed papers it looked different on each color! 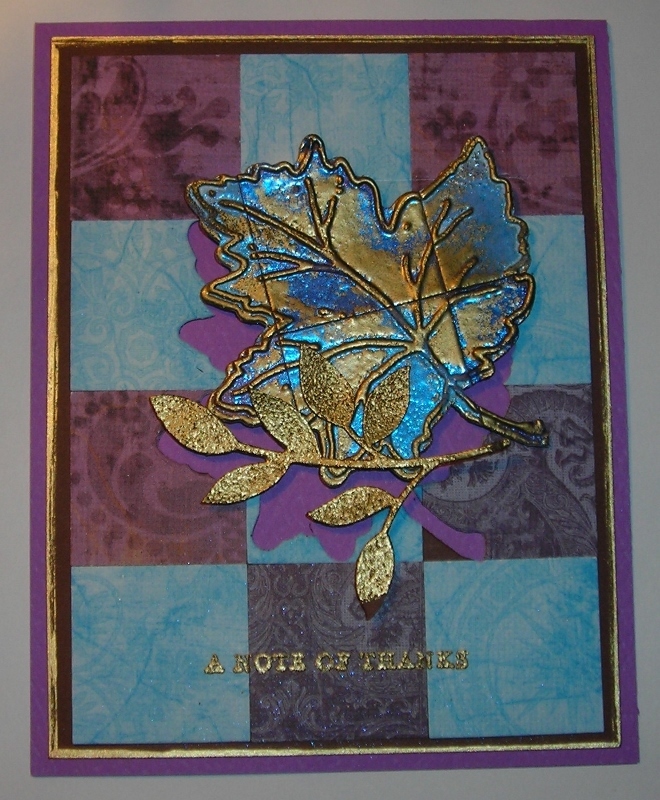 I added SU- Gold for more detail & I also did SU- Sizzlits Little Leaves in all Gold, it being probably the most "intricate" die cut I have! (That should tell you I am lacking in dies! 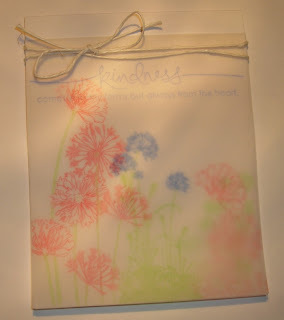 LOL) And embossing the front sentiment by SU. 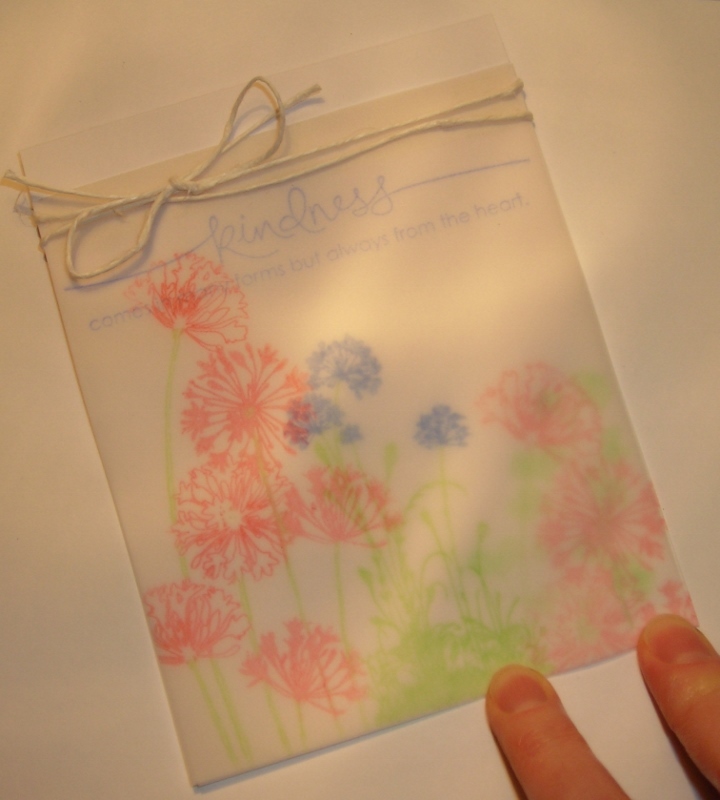 Here you can see the different colors of the embossing powder on the different colored papers. I had to pull out my Gold Krylon Pen & add some edging. Not too awful careful on getting it perfect for a more rustic look. Summer Card Camp- Week 3- Day 1! ﻿I can HARDLY BELIEVE this is THE LAST WEEK of Camp! LOADS of FUN yet to be had, in that this is the FIRST DAY of the last week! WHAT IS IT with Mondays???? The cogs just don't want to turn!!! Even with doing an extra card on Saturday, which I THOUGHT would help keep these cogs OILED! NOPE! 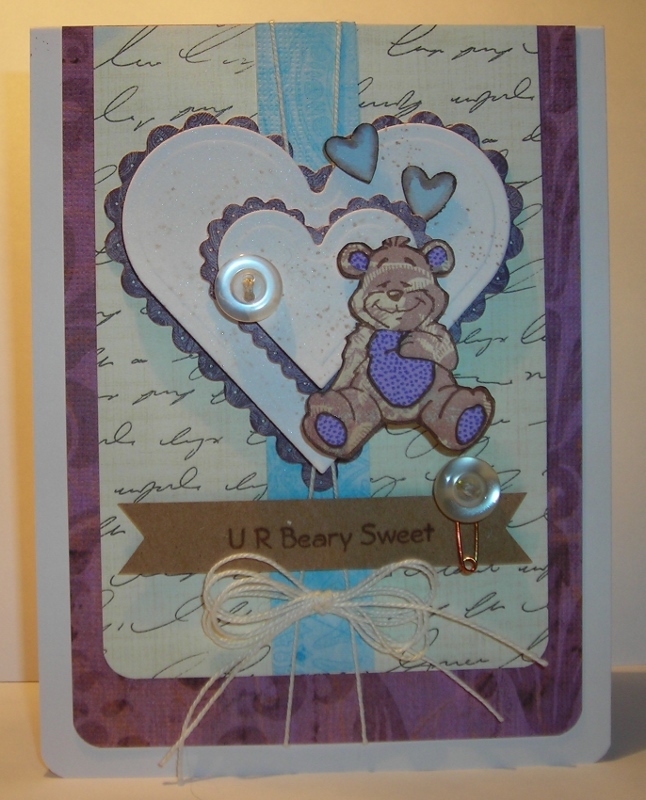 Now I have to tell you, it ISN'T the color scheme that "stumps" me so much, when I go to make a card! Unless, I just don't have the color paper/s required! It's more the sketches that "stump" me! The sketches are the things that keep me sitting here & mulling it over & over for FOREVER!!!!!!!!!! See just HOW STUMPED I am??? 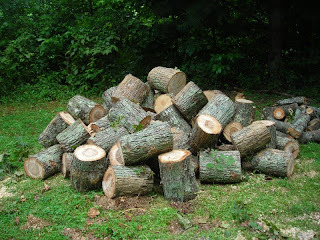 THIS is what happens when I'm REALLY STUMPED! Back to being serious now! We were shown several different cards in the making & given little tips... Another problem I had today, was I just didn't have ANY GRAPHIC type of stamps, NOTHING like they had! ( SO "NEED" to EXPAND my style of stamps!) So, I pulled out what I had & this is what I came up with! Remember, I could only use 4 out of the 5 colors given! I chose Dark Brown, Blue, Light Purple, & Dark Purple, leaving out the Light Brown. I also chose the technique of doing TONE ON TONE BACKGROUNDS- This done on the lower half of my card. 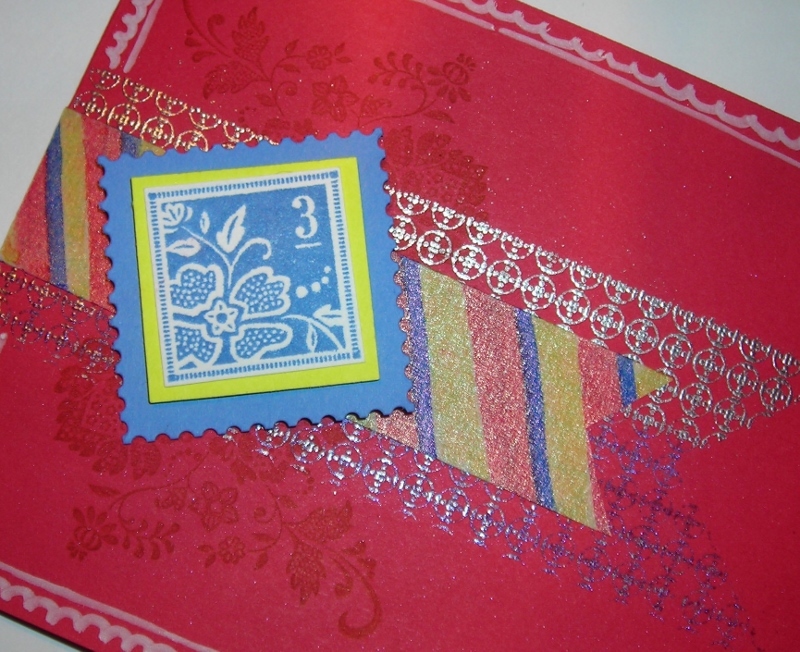 The closest "Graphic" Stamp I had is on the lower half of this card- It's by Anna Griffin- Modern Graphic Stamps. I needed something for the top & thought a floral would look nice; I wanted something light in contrast to the lower half. 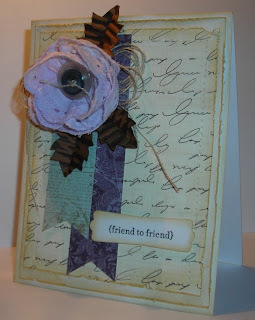 I used Flourishes- Bees & Blooms. It's ALL ABOUT BANNERS today too! So, as I played with my paper trying to figure WHAT to put WHERE I came up with a little banner made with SU- Teeny Tiny Wishes and added some Prima Crystals. Pretty simple really! (Just ALOT of "thought time!" ) I ONLY HOPE IT SHOWS! Let me know what you think? I'd LOVE to hear from you! 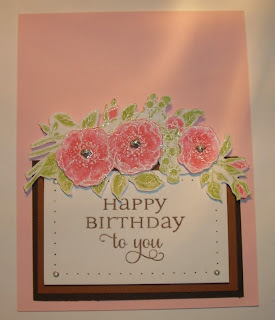 Another Technique & a "HAPPY BIRTHDAY" to Flourishes! I'm back before Monday! 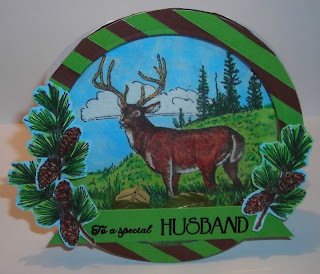 I had to try another one of the techniques that were shown to us at camp & I thought I'd also link it up to one of the Flourishes Challenges going on right now! After-all, it is their Birthday this month! 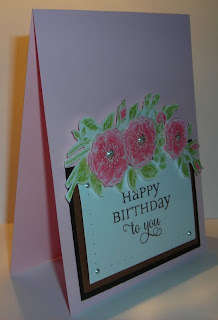 So, in CELEBRATION I thought I'd CASE one of Heather's cards! I ABSOLUTELY LOVE this technique she used! The SAME ONE that we were shown the FIRST WEEK of Camp. I didn't get to use it at the time though. It's called Multi-Inking Stamping. Can you see it? It's the Pine & Berries that are Multi-Inked, inking up your stamp with more than one color! Another Challenge going on in Celebration for Flourishes Birthday in-particular? I don't know if it's possible to enter this one card in BOTH of these challenges, BUT it does FIT! For my card, remember I am using the technique from the first week of camp-Multi-Inking Stamping & that also means I have to use the COLORS of the first week- Pink, Blue, White, Yellow &/or Orange; using 4 out of the 5 colors! 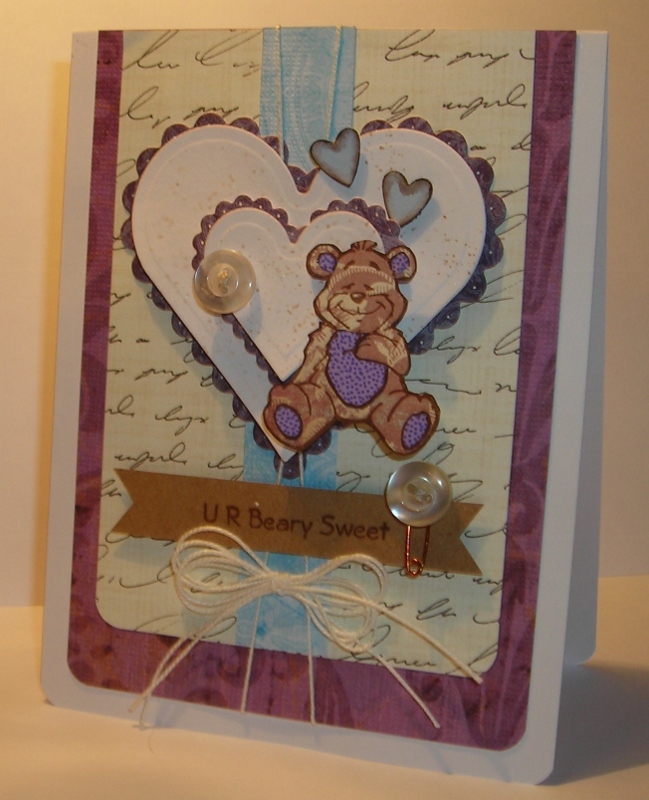 So my card is VERY NON-TRADITIONAL! SOMETIMES, you have to try something NEW! 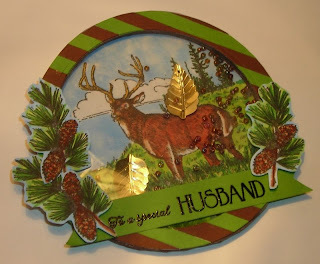 I have to admit, I am a VERY TRADITIONAL WOMAN, BUT this was FUN! 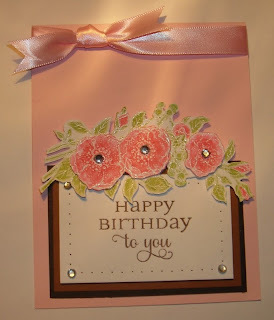 AND I even LIKE this card! I LOVE IT when you try something new, that you aren't really inclined to like & you're PLEASANTLY SURPRISED! 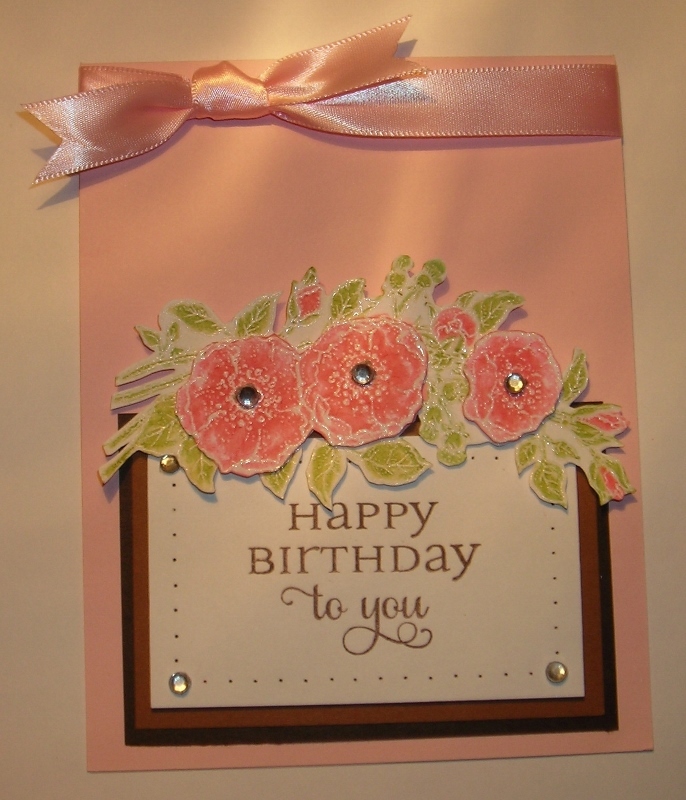 Heather's card had sewing on it, that's one of the things she usually does on her cards. I also did some sewing. 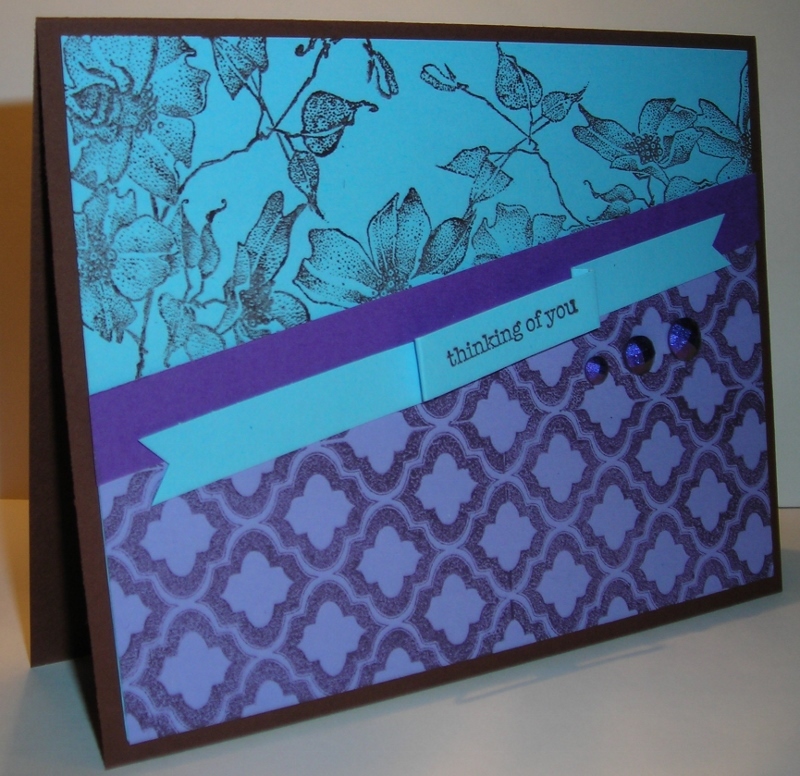 You can see the Multi-Inking Stamping in a few places where a lavender color shows up--the bottom left, smack in the middle, top left, & toward the top right! It's just a little harder to see with the pastel colors I used. With this color combo, this COULD BE a card for a Baby's First Christmas! "MERRY CHRISTMAS in July" oooooorrr, "Happy Birthday Flourishes!" Summer Card Camp 2- Week 2- Day 5! Today, we had MORE COLORS from which to choose our Color Combo & several different techniques too! Some techniques I just didn't have the appropriate stamps for...I COULD adjust, but I chose the last technique offered, Layered Stamped Vellum shown to us by Jessica Witty! The technique is SO BEAUTIFUL & LIGHT & AIRY! I chose the last color combo! I could ONLY use 4 out of the 5 colors offered. 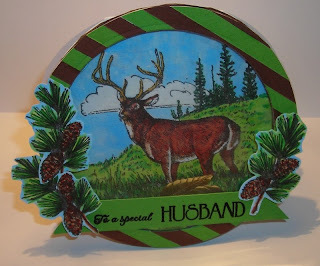 I used my Stamp-a-ma-jig again to make sure the images were placed just right! I put my colors on white vellum so they would show up well & placed that onto white card stock! 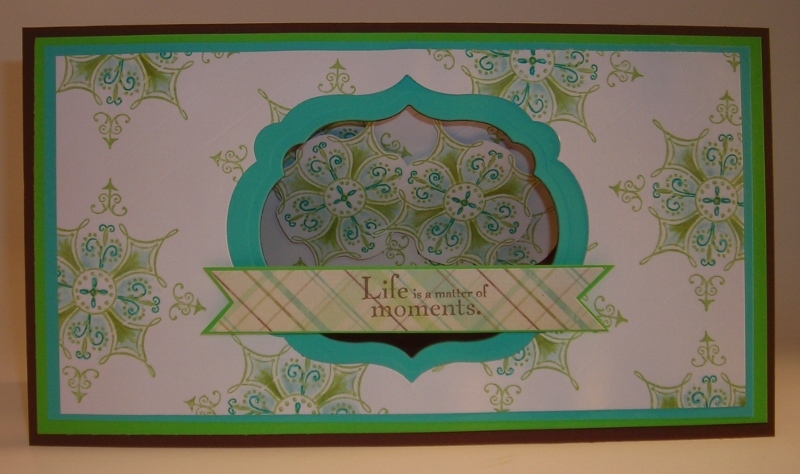 I wanted to use a green card stock base, but the greens didn't show up! So, white it was! I couldn't get a GOOD picture of the layers unless I held them down! So, please excuse the fingers? I think this technique would be FABULOUS for a wedding card!!!!!! Summer Card Camp 2- Week 2- Day 4! What a TREAT I have for you today! It's like "Christmas In July," only IT'S NOT! Our Challenge at Camp today was to make a Non-Holiday Card with Holiday Stamps! 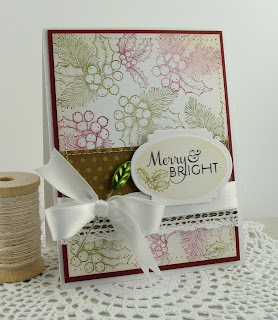 There were MANY other techniques to choose from but, I chose this one because the card that Kathy Racoosin made was SOOO ELEGANT & just BEAUTIFUL! If I didn't have to follow the color scheme, I would have added Silver or Gold! I REALLY LIKE how it came out! It does take awhile to do this BUT, it is WELL WORTH IT! 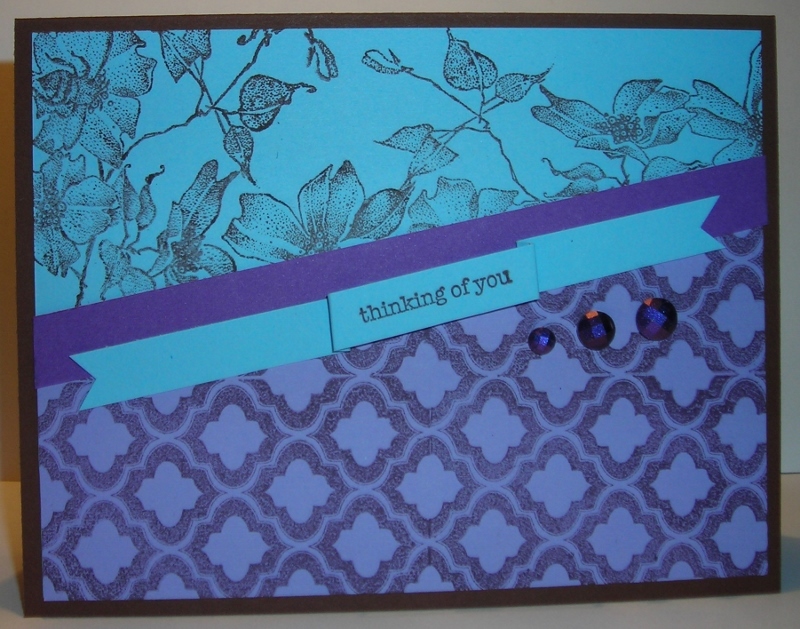 This is the sentiment for the front of the card- SU- Elements of Style. This is the INSIDE! You could sign your name with a White Gel Pen since the base card stock is dark. Two of the medallions (Snow Flakes) were cut out & popped up on dimensionals. 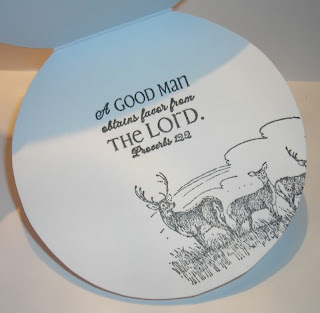 The Medallions were created with SU- Serene Snowflakes. I didn't have any Memento Ink in different colors---to use Copics this time so, I adapted! 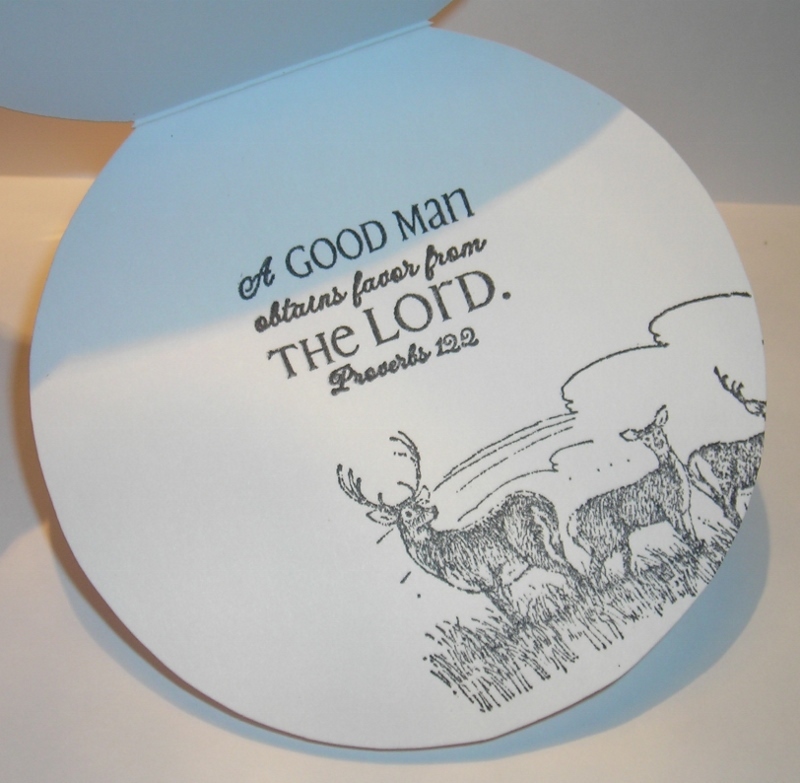 I used a Blender Pen & dipped it into the ink pad... Basically, it was like Water coloring the medallions! 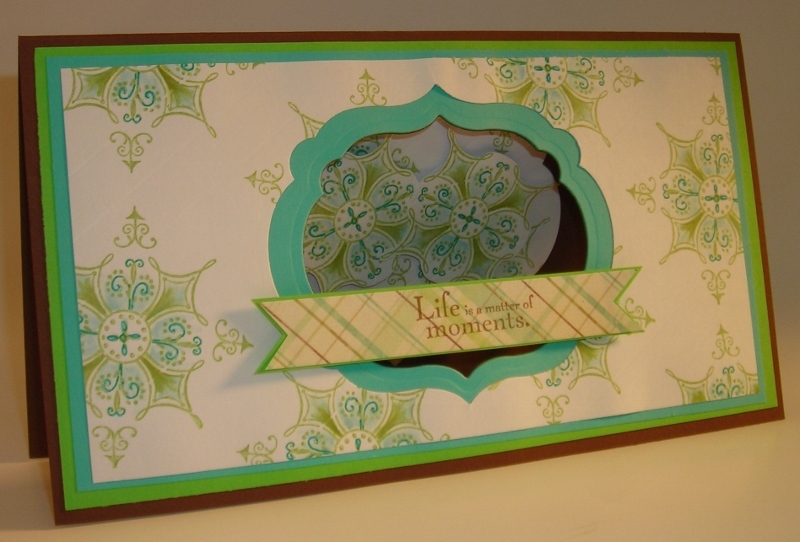 I also like the plaid paper with this medallion paper! HOPE you're getting INKY & having a FUN time doing so! Summer Card Camp 2- Week 2- Day 3! Another WONDERFUL DAY of learning in Summer Camp! SOOO MANY NEAT IDEAS to try!!!!! TIPS & SPECIAL IDEAS !!!!!! WHAT FUN!!!! Today, I made a Shaped/Circular Shaker Card! You know me, I LOOOOOVE those interactional type of cards! Well, I didn't have a Circular die that was large enough, so I made some circles with a compass & cut them out & cut the inner part with a smaller die (Spellbinders Classic Circles) that would work! So, with all of the fussy cutting, it took me a little while to put this together along with the SPECIAL TOUCHES that were shown to us! 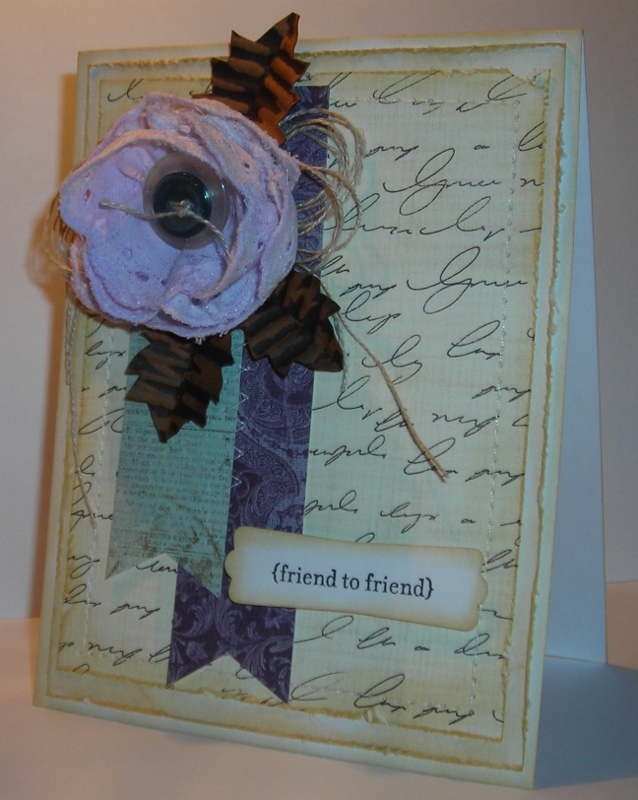 I first came up with a FABULOUS IDEA for this card, & got things all ready to make it & then REALIZED, DAAAH! It wasn't the correct color scheme! So, I put things away & focused on the Color Scheme! LOL ( I'll have to try that other idea later!) 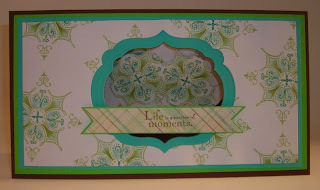 When I first saw this color scheme I thought it was VERY EARTHY! So, that's what I went with! Not having a die makes it a little difficult to get those edges CRISPY CLEAN! (Believe me, LARGER DIES are on my EVER GROWING LIST of "To Gets!") The main image along with the pines are from SU- Noble Deer & the Sentiment is from ODB-Father's Day. 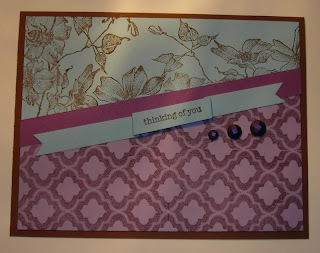 I heat embossed the sentiment with Tim Holtz Black Embossing Powder. Here you can see the sequins (leaves) & the beads I added to this shaker card. 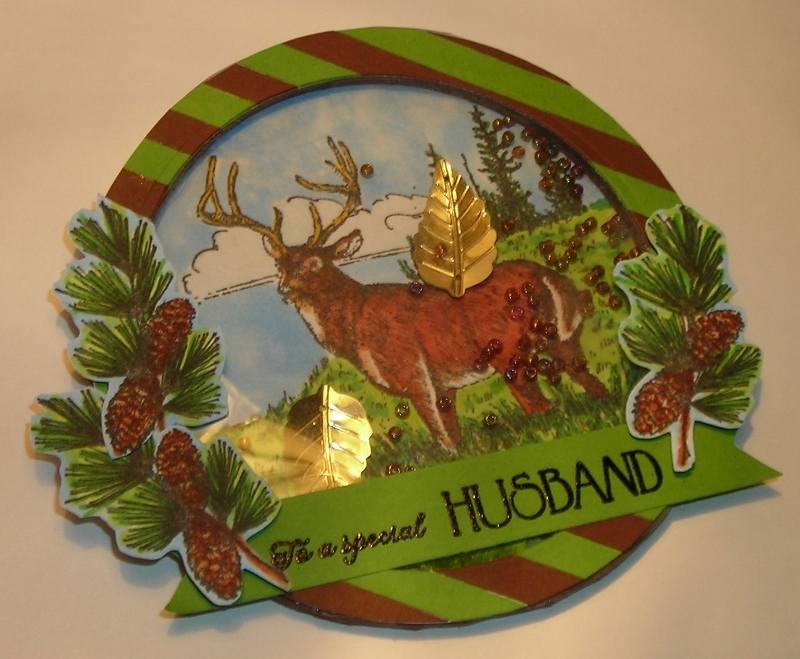 This is the INSIDE of my card; the sentiment is from ODB- Father's Day & the image is from SU- Noble Deer! I colored the images with Copics. I absolutely LOVE how the colors are SO VIBRANT! AGAIN, I HOPE you like! Summer Card Camp 2- Week 2- Day 2! Summer Card Camp 2, Week 2- Day1! Summer Card Camp- Day 1! Summer Camp 2 Pre-Camp Activities!